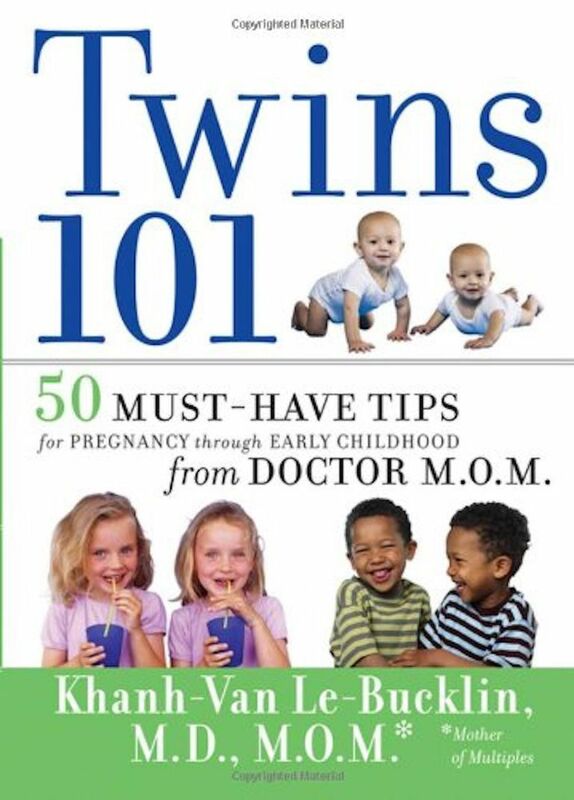 Excerpted from Twins 101: 50 Must-Have Tips for Pregnancy through Early Childhood from Doctor M.O.M., by Khanh-Van Le-Bucklin, M.D., M.O.M. Copyright © 2009 by Khanh-Van Le-Bucklin. Reprinted with permission of the publisher, John Wiley & Sons, Inc.
My mother always says, "A child's job is to eat, sleep and play. If they aren't doing one of those things, then something is wrong." My wise mother could not be more right. As someone who trains future pediatricians, I teach my residents to look for deficiencies in those three things as a possible sign of illness, neglect, or developmental delay. Children need to play just as much as they need to eat and sleep! Play and exploration during play develop a child's motor abilities as well as cognitive abilities (intellect). Allow your twins to play with each other, and make time for them to play with you, too. Twins have the obvious social advantage of having an immediate and readily available playmate. They can provide a ready source of visual, auditory, and social stimulation for each other. Have enough toys around so they aren't constantly fighting for the same toy. But you don't have to buy two of everything. You'll want them to learn early on the importance of sharing. Have a variety of toys so they can explore. Encourage interaction between them. Faith and Hope loved building towers together with plastic interlocking bricks. For older toddlers, have plenty of dress-up items, dolls, puppets, and other toys that stimulate cooperative and pretend play. Buy a ball. See the Twin Hints box in this section. Take your children outside as much as possible -- in your own yard or to a nearby playground. There are so many stimulating things to do outdoors under age-appropriate, careful supervision. Keep a watchful eye on your twins. Toys can easily become weapons when you have two babies. Also, two active, curious twin toddlers have an uncanny way of using their dual brains and strength to create unsafe "games" for themselves. Take lots of pictures! There is nothing like seeing a pair of twins generously share toys or make each other laugh during play. These precious moments melt your heart and remind you of how blessed you really are to have twins. Balls are one of my favorite developmental toys for twins. When Faith and Hope were around nine months old, I would roll a ball, and they would race to get it. This friendly competition resulted in the rapid development of their crawling ability. Now that they are toddlers, I sit with them, and we roll the ball to each other. This engaging activity teaches them the important social skill of taking turns. My husband, Chris, likes to juggle balls or spin them on his finger. My children watch with delight as they learn about object motion and gravity (yes, every circus act has to end somehow). In the near future, I foresee us playing handball or four-square to practice the concept of rules in play. The possibilities are endless! Twins are truly fortunate to have each other as ready playmates. Their time together affords them many social, emotional, and physical benefits. But twins also need time with you. Experts agree that twins need to bond with, learn from, and spend quality time with adults in order to maximize their developmental potential. You are immensely vital to your child's development. A co-twin cannot replace the role of parent interaction and play, and neither can the most expensive educational toys, videos or computer programs. You are the single most well-designed toy for your child. No toy can ever impart the variety of intellectual, social, and physical stimulation that you can provide. The best thing is that you are priceless, and yet you are free to your child. Give to your child the gift of play with you today. Talk to them during play. Describe what they are doing. Show them how a toy works. Make one parent the "play parent" and the other the "duty parent" for a few hours and then switch roles. Make routine time also play time. For example, baths can be a lot of fun with bubbles, toys, and lots of splashing. Be silly and have fun! Having children is your excuse to be a kid again. Khanh-Van Le-Bucklin, M.D., M.O.M., is an academic pediatrician at the University of California, Irvine. She received her medical degree from the University of California, San Francisco, and completed her pediatric residency at Stanford University. She earned her Mother of Multiples (M.O.M.) degree in 2006 with the birth of her twin daughters, Faith and Hope.